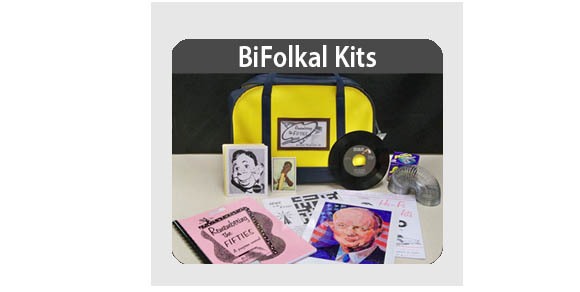 BiFolkal Kits – Arapahoe Library District (Colorado): BiFolkal Kits include slides, music, visual images, and other objects to inspire storytelling and remembrances. Book Club Kits – Madison Public Library (Wisconsin): Book Club Kits make book clubs easier with ready-to-go discussion questions, author information, and at least 8 copies of the same book in each kit. Boone County Public Library District (Kentucky) offers Digital Book Club Kits, which provide books in multiple e-book formats (for Kindle, iThing, Nook, etc.) as well as discussion questions. Stories to Go – Ann Arbor Library District (Michigan): Designed for parents, teachers, and caregivers, Stories to Go offers kid-friendly materials and activities focused on a single theme. Mystery Kits – Kentucky Department for Libraries and Archives (Kentucky) : Mystery Kits for elementary and middle-school kids include everything a group needs to set up and solve dastardly deeds only Snidely Whiplash could imagine. Super Science Kits – Kasson Public Library (Minnesota); Cubberley Education Library at Stanford Library (California): Get STEM to go with Science Kits, which explore topics using tools, scientific supplies, and mini-experiments. Does your library loan any of these items or other types of interactive kits? Let us know by by commenting on our Twitter feed. Note: This post is part of our “Beyond Books” series. From time to time, we’ll be sharing examples of unique lending programs, events, and outreach that libraries are offering.